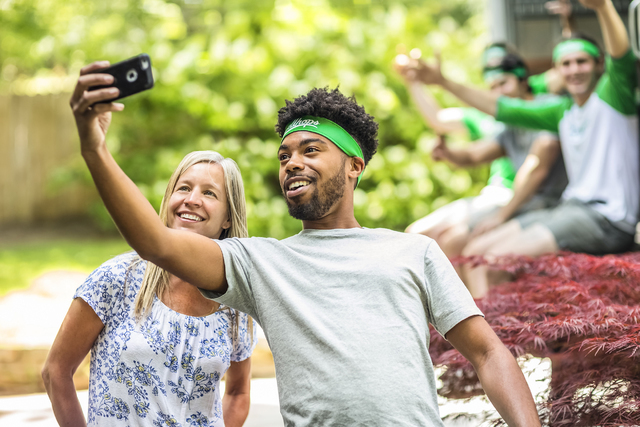 A Chattanooga, Tennessee-based moving company has been storming the national market, including Las Vegas, with its technology-oriented, on-demand concept that connects individuals and families that need help moving with college students who are looking to make some extra cash. 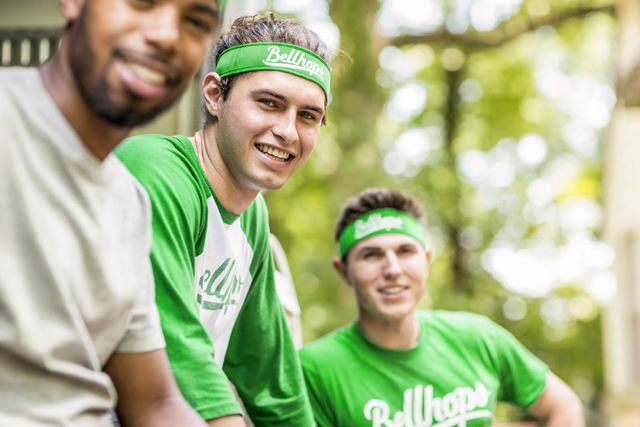 Bellhops, made up of a network of college-student workers, initially started out serving college dorms, which now makes up less than 10 percent of the company’s total customer base. Bellhops, which generally serves those living in one- to three-bedroom residences, provides a lower-cost alternative than many traditional moving companies. Bellhops, a company with an app-based concept similar to those used by ride-booking companies, has been moving quickly and is now in 85 cities across the U.S. During its more than five years in existence in a niche market, Bellhops provides local moving services at a lower cost than many traditional moving companies offer. “What Bellhops is doing through technology is, we’re really able to minimize the fixed costs that traditional moving space incurred — brick and mortar, and managers, and a lot of these things — technology has allowed us to totally circumvent,” said Cameron Doody, co-founder of Bellhops. Living in cyberspace, Bellhops has helped keep the cost of moves at an accessible price, even for the do-it-yourself mover, Doody said. 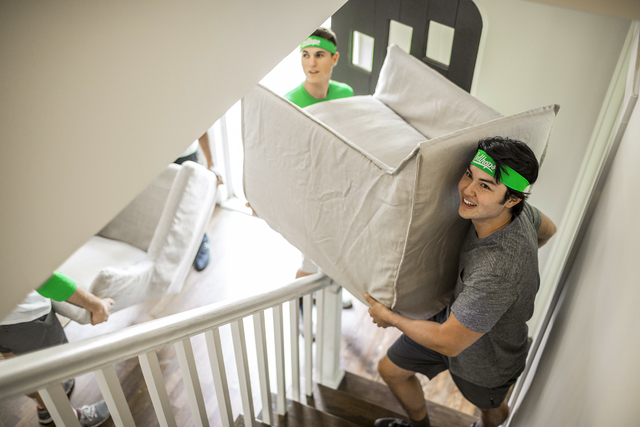 For a labor-only move, the customer pays an average of $160 to college students known as “bellhops.” Trucks and supplies are separate expenses that are picked up by the customer; but Bellhops (the company) can reserve this for a customer that orders a move through its app. Also, in select cities, the company offers full-service moves — for which supplies and trucks are provided — for an average of $400. Still, Doody said that the average local move is much more expensive through a traditional mover than through Bellhops. According to the American Moving &Storage Association, the average cost of an intrastate move, as of 2009, was about $2,300, at a rate of $200 per hour. This number was based on an average weight of 7,400 pounds, where the average size of a one-bedroom apartment has a weight of about 3,500 pounds, depending on what type of furnishings are in the dwelling, according to movers.com. Generally, Doody said Bellhops services those living in one- to three-bedroom residences. Movers.com estimates the average three-bedroom apartment to weigh about 7,500 pounds. The do-it-yourself-mover is also something Doody wants to serve. He estimates that only 25 percent of people moving locally actually use a professional, mostly because of high prices being charged at traditional vendors. Doody said this not only creates a lower-priced alternative, but it also creates an option for do-it-yourself movers who want to hire a professional, but can’t afford it. Bellhops got its start in a different realm than it lives in today. Doody said the venture got its beginnings at his alma mater, Auburn University, where he graduated with a degree in business. The operation at that time was geared toward serving college dorms at Auburn, to alleviate pressure on parents, some who had to travel long distances to the university to help their kids move. The network of student-based workers is now over 8,000. Bellhops, which Doody began with co-founder and now-CEO of Bellhops, Stephen Vlahos, started getting more demand from the nonstudent sector almost immediately, Doody said. After a couple years, Doody said others, including venture capitalists, started to take notice of Bellhops. Lamp Post Group, a venture incubator, was where the company got seed money in 2013. To date, Bellhops has collected about $22 million in private investment funds, Doody said. The targeted college-student demographic is also a small piece of the puzzle, making up less than 10 percent of Bellhop’s total base. The average customer in 2016 could be defined as renters, young families and young professionals. The age category rests in the 22-35-year-old demographic, Doody said. Locally, college workers are recruited by other college students. Zachary Cabanski and Ian Duboei work for Bellhops as campus directors — and both are University of Nevada, Las Vegas undergraduate students. Their position is to recruit and market the brand throughout the city. Cabanski said he started working for the company just over a year ago. At that time, the brand was just getting started in the city. Since then, Cabanski said he’s watched the brand grow, as he’s spent time getting the word out to nursing homes, apartment complexes and other sources. 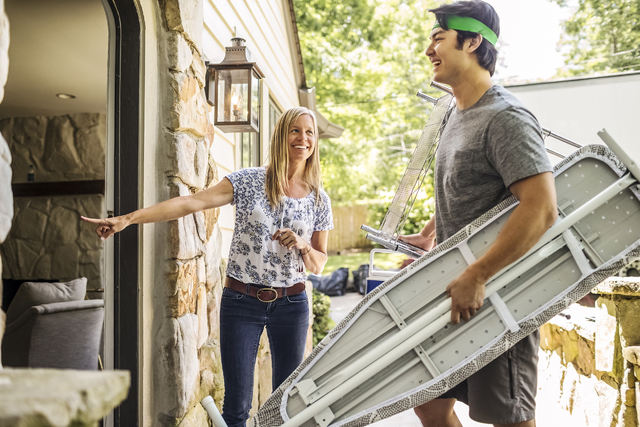 There are some in the industry that say consumers should weigh their options when it comes to alternatives to traditional moving companies. Scott Michael, president and CEO of the American Moving &Storage Association, said that consumers should be aware that alternatives could lead to working with companies that aren’t fully licensed, which might not provide the same protections as licensed movers. On app-based companies, Michael said consumers should be aware of what they’re exactly getting as far as services, who will perform the work and what to do if something goes wrong. He added that it is a good idea to get a free estimate from a full-service moving company to compare the options and make an informed decision. For customer protection, Bellhops does do background checks on all of its bellhops, along with doing a video interview, and bellhops are reviewed by their peers and customers. On damaged items, reports made within 30 days will be considered, although Bellhops said it reserves the right to repair instead of replace a damaged item, according to its website. Bellhops also has limits on the items it will allow bellhops to carry. It’s against policy for bellhops to move pianos, organs, gun safes, pool tables, china cabinets, antiques, exercise equipment and any collectible, high-value item, or anything that is potentially dangerous, according to the Bellhops website. Though Bellhops is an alternative to the traditional moving company, it is starting to offer services that are similar, including providing trucks. The company hasn’t built traditional stores. Doody said Bellhop’s has partnered with parking lot companies in the eight cities it runs this type of service: Chattanooga, Nashville and Knoxville, Tennessee; Newark, Delaware; Baltimore; and Jacksonville and Orlando, Florida. Full service soon might be an option in Las Vegas, which would require Bellhops to become compliant with a new set of regulatory requirements. Bellhops is considered a technology company in Nevada, as it doesn’t provide trucks or transportation of any kind in the state. Once the company is considered a household-goods carrier, per Nevada law, Doody said his company will become compliant and go through all licensing requirements in the state. “Vegas is really one of our really good cities, and we will be looking at a potential expansion sometime in 2017,” Doody said.